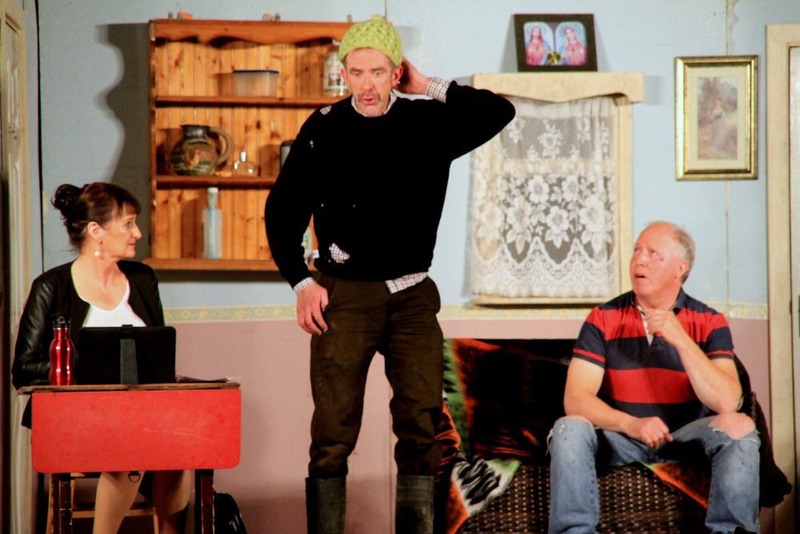 Due to popular demand The Acorn Players return to Mohill on Good Friday, April 19 to perform their widely acclaimed comedy Loophole. Clarke’s Hotel is the venue for this show with proceeds going to Mohill GAA Club and Mohill Basketball Club. People were turned away when the group first played Loophole in Mohill last year, so those who lament that they have never seen the play have no excuse now. Since then they have entertained audiences across the country in over 20 performances of Loophole with each performance going from strength to strength. The reactions from the audiences say it all with tears of laughter, cheers and standing ovations at each show. Loophole written by Ballyconnell playwright John McManus, is set in modern times and John takes an amusing look at the surprising changes Holy Ireland has experienced since the turn of the century. There are also echoes of The Field with the two main characters Paidí, played by Padraig McLoughlin and Cass, played by Philip Flood going to extreme rounds to increase their acreage. But raging alcoholic Rooster played by James Grimes has his own ideas on how to outsmart his conniving brother. Anella McGuinness, Martina Ward, Anne Macklin and Orla Redican are all local actors, while James Grimes and Rosie Kiernan hail from neighbouring Dromard. Don’t miss what is guaranteed to be a great night of comedy. Be prepared - you will laugh from beginning to end. Play starts at 9pm and admission is €10.